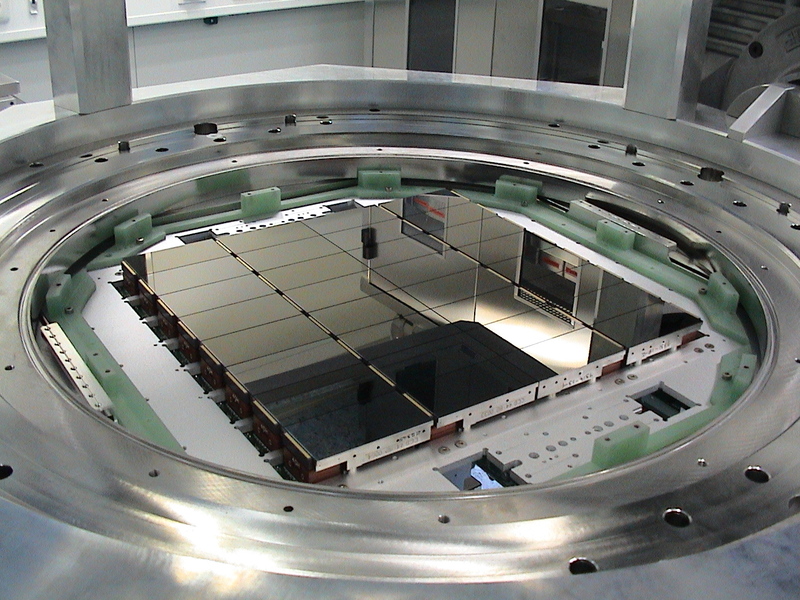 OmegaCAM is the wide-field imager for the Cassegrain focus of the VLT Survey Telescope (VST) on Paranal, a 2.6m modified Richie-Chretien alt-az telescope designed specifically for wide-field imaging. OmegaCAM @ VST starts regular service observations October 15, 2011. NOTE: Most of the information presented in these pages is courtesy of the VST and OmegaCAM consortia, and is continously updated/completed as experience in regular operations is gathered. Rafanelli, P., Scaranella, R., Sedmak, G. and Vettolani, G. P., 1998. The Messenger 93, 30), Kuijken et al. 2002 (The Messenger, 110, p. 15, 2002) and Kuijken 2011 (The Messenger, vol. 146, p. 8, 2011). The following items are available on all the OmegaCAM pages, using the bar on the left. Manuals : links to all the documents related to OmegaCAM. Tools: a collection of useful tools and information for preparing and analyzing the OmegaCAM observations.